5meters/reel, 25 reels/carton. Carton size: 49x27x39cm. Gross weight: 10Kgs/Carton. CRI>95, R9>90, Full Spectrum, Sun light Color, True Color. Color: 2200K, 2400K, 2700K, 3000K, 3200K, 3500K, 4000K, 5000K, 6000K, 6500K. SMD2835 (LM-80), 120LEDs/Meter, 600LEDs per 5meters. 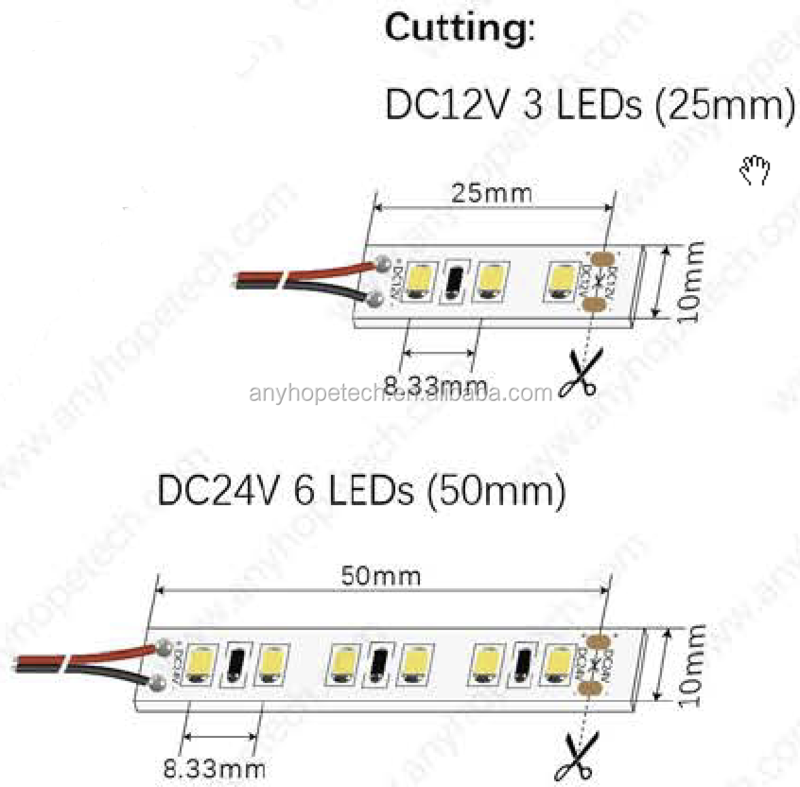 6 LEDS cut size 50mm at DC24V. PCB width: 5mm, 6mm, 8mm, 10mm. 300LSE 3M tape, 3M VHB tape. 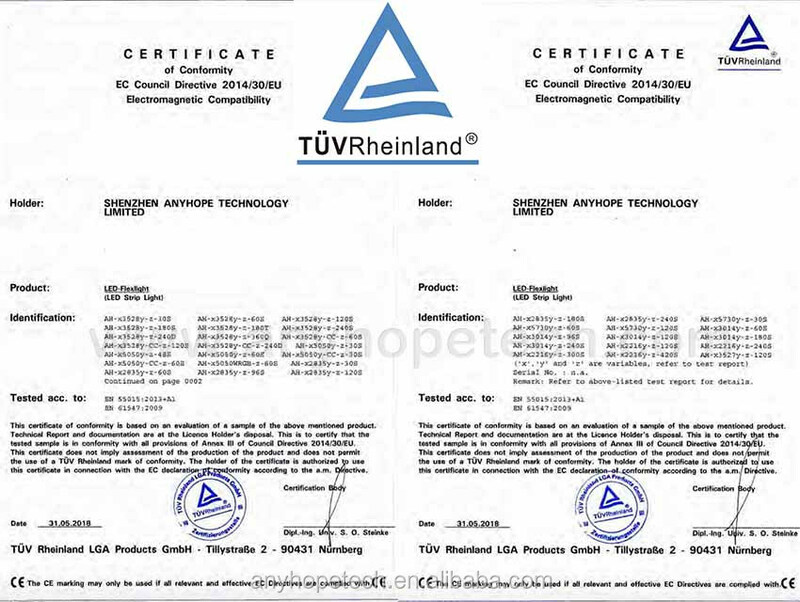 5 years warranty, UL Listed, LM-80, CE RoHS, TUV. 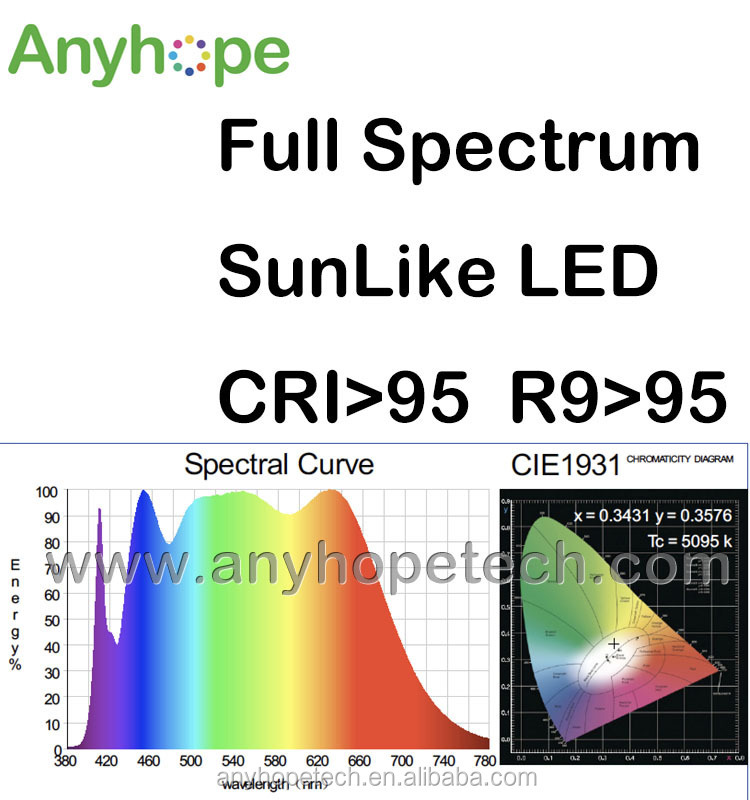 Test report for SunLike LED, Full Spectrum. CRI>95, R9>90. One Bin Only. MacAdam Ellipse 3 steps, +/-100K. 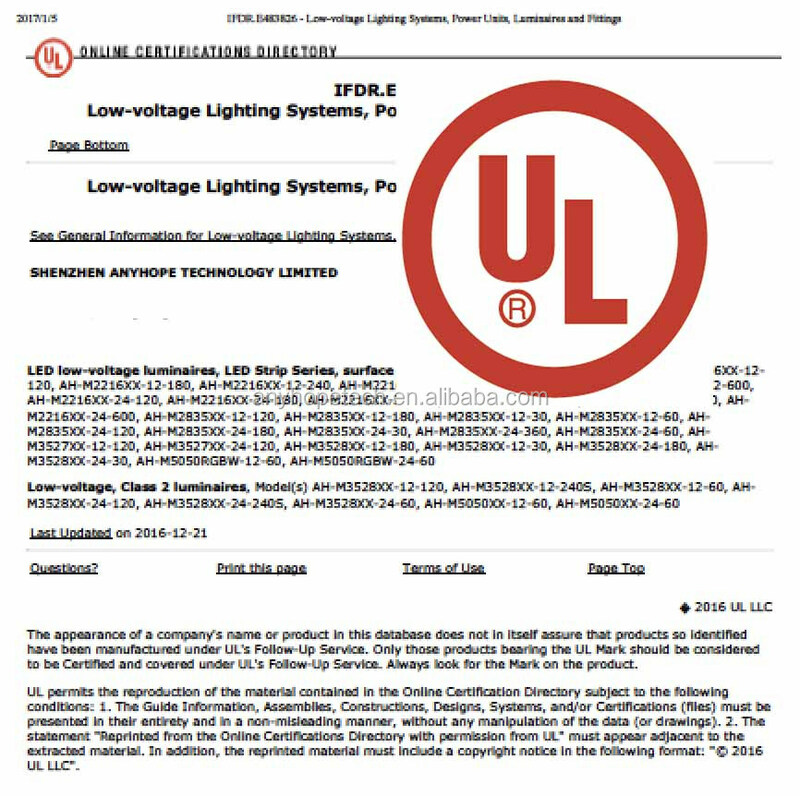 UL Listed, LM-80(SMD), CE issued by TUV. 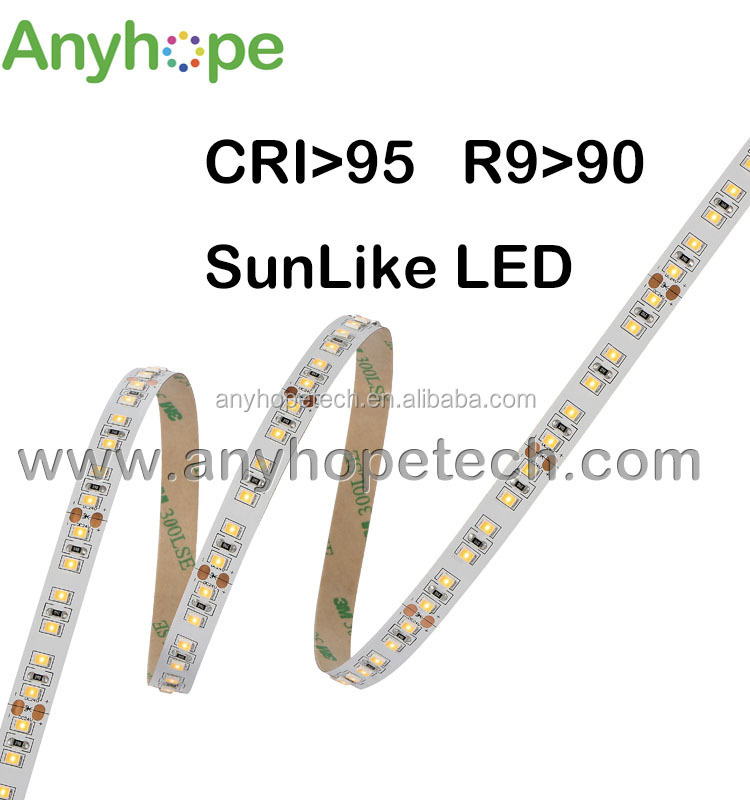 Anyhope Technology Limited is a premier manufacturer of LED Strip Lights, LED Linear Lighting, LED Ceiling Lights and LED Panel Lights in China. Anyhope was established in Shenzhen China in 2009, moved to Dongguan China in 2015, with 16,000 square meters manufacturing facility, including LED package and SMT workshop, 20 automatic production lines, 150 laboratory equipment and scientific instruments, 500 employees work on site. 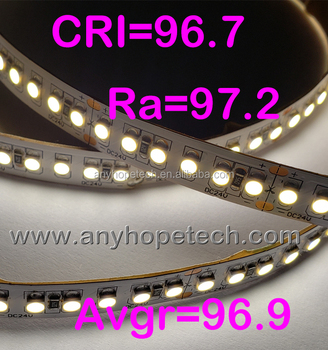 All products are LM-80 (SMD), UL, ETL, TUV, CE, RoHS certified, 5-Year Warranty. R&D department continually develope and revise design of new products. Including PCB layout, Electronic design, Mechanical Design, Optical simulation. Please contact us for Technical Specifications, IES file via email. 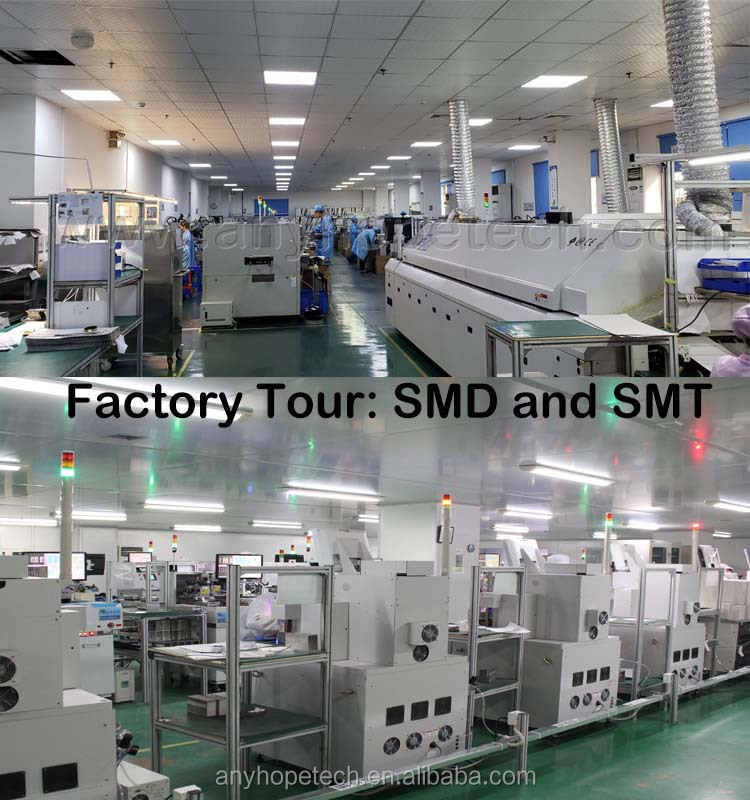 SMD ( Surface Mount Device) Work shop, SMT (Surface Mount Technology ) Factory Work Shop.